Well, we’re all busy and who has time to research copyright? This is the province of lawyers, big publishers with legal departments, and plagiarism trackers, isn’t it? No, every self-publisher needs to have a bit of information on copyright and the way the law works in the United States. Okay, I promised this would take 5 minutes, so let’s get started. Copyright is a form of protection for intellectual property. It is based in the U.S. Constitution, and by law grants protection for original works fixed in any tangible medium of expression. Copyright covers both published and unpublished works. You do not have to apply for copyright from any authority. The U.S. Government does not issue copyright. The law of copyright provides protection from others who might claim your work as their own, or seek to profit from your work without your permission. When you create something original and fix it in some form that others can experience, (for instance, by writing a story that others can read, or painting a picture that others can view) your work is under copyright protection from the moment it is created. Copyright protects original works of all kinds including literary, dramatic, musical, and artistic works, such as poetry, novels, movies, songs, computer software, and architecture. It will protect a greeting card you wrote, and the song you’ve created for a school play. Copyright doesn’t protect facts, ideas, systems, or methods of operation. However, it will protect a book or operating manual that explains these ideas, systems or methods. As publishers it’s important to know that you cannot copyright the title of your book. If a title could be considered a trademark, you can use the trademark system to attempt to protect your title, but it will be an expensive, lengthy and uncertain process, and you may well be denied trademark protection. How is Copyright Different From Patent or Trademark? Copyright protects original works of authorship. Patent protects inventions or discoveries. Ideas and discoveries are not protected by the copyright law, although the way in which they are expressed may be. A trademark protects words, phrases, symbols, or designs that identify goods or services. The Fedex logo is a registered trademark, which provides protection. It is not copyrightable. What is Copyright Registration? There is no requirement to register your copyright, which exists from the moment the work is created. Registration is a service provided by the Library of Congress as a means to record claims to copyright. If you ever have a dispute about your copyrighted work, your best evidence is going to be the registration you made, and the date it was entered, to show you are the originator of the work. You definitely want to register your copyright, even though it isn’t required. Can’t You Just Mail Your Manuscript to Yourself? This practice has been used for many years as kind of a “poor man’s copyright.” Unfortunately, there is no provision in the copyright law for any such protection—it is not a substitute for registration. Is My Copyright Good Outside the United States? The United States has copyright relations with most countries throughout the world, and as a result of these agreements, we honor each other’s citizens’ copyrights. However, the United States does not have such copyright relationships with every country. For a listing of countries and the nature of their copyright relations with the United States, see Circular 38a, International Copyright Relations of the United States. Well, there you have it. Considering the amount of time, effort and imagination you’ve put into your book, it makes sense to take the simple step of registering your copyright. Like putting a category on the back cover of your book, or getting your ISBN correct, this is another detail that self-publishers just have to attend to. In an upcoming post, we’ll discuss the rather thorny issue of fair use. In the meantime, if you have copyright questions it’s best to consult an attorney, and I am not an attorney. For more detailed information on copyright, visit the U.S. Copyright Office website. Thank you for sharing this quick primer on a confusing, often complicated, topic for many authors and self-publishers. Reading this post and comments saved me some time – and potential headaches. Well done! Hi. Great post. I have a question I hoping you can answer…. I have a website/startup about to launch worldwide with its office based in Australia. That website will be home to hand picked stories that cannot be categorised as novels nor screenplays, because their format is more like a hybrid of both. If i had to choose though they are probably closer to screenplays rather than novels. These series, as we call them, are written by their own writers from varies places on a weekly basis, checked and edited by our team of editors and published the following week online for everyone to read for free. My question is… since the episodes of these series/stories are being published and timestamped online on a weekly basis, do I need to register them for copyright? I want to protect my writers as much as I can, as I believe these are amazing original works. Most of them with more than 80 planned episodes ranging between 1500-3500words per episode. Also we are planning on publishing the novelisations as hardcovers and ebooks (available only to those writers that reach certain viewership) once the series have finished their full run online. What would happen in this instance? If I were to register copyright for the book, it will cover the book only from the time of publication, but not the actual series that was published online months before from which the plot-lines, characters and story development was extracted. How can i protect my writers series/stories from the time they are being published online? There is also a search bar in the upper right corner of the page that is helpful for quickly finding information. Searching this way is useful for more complicated queries because the results include detailed resources outside the FAQ. I live on a boat with no fixed address. Is there a way to register copywrite on Writing and photos ( for example travel articles, poems) or would `i have to publish in USA to be able to register in USA?? I am British citizen sailing around the world. This is great information, especially the part about the “poor man’s copyright.” I still see people recommending that to writers even though it isn’t much cheaper or easier than registering the copyright properly. One thing I was surprised you didn’t touch on is using other people’s works. I just wrote a post on requesting a license to reproduce copyrighted text in your novel. I’d love it if you’d take a look and let me know what you think! What Every Writer Ought to Know about Fair Use and Copyright. This was written by a California attorney with long experience in book publishing, and many scenarios are examined in the 450+ comments. There are currently 1,700+ posts on this site, so I realize it’s not always easy to find the exact topic you’re searching for but, in most cases, it’s here somewhere. Thanks for sharing all your questions and answers. I almost done writing my poetry book and i want to published it online on amazon or apple now. Im chinese and live in china. will it be the same if i copy right it after 3 year from publishing. will i have to copy right it in china and in usa. I wrote a poem and would like to now if i should get a copyright before i send it in to a contest . Jocelyn, you own the copyright to your work when you create it; the Copyright Office is just registering it. You don’t need the registration before entering the contest. Good luck! hii , i write a book on history , how can i take a copyright ? plssss inform me to the critiera of copyright and all……? You didn’t say if you’re in the United States or another country. If you in the United States, you can apply for a copyright from the Library of Congress. If you’re not in the US, you would need to find out the laws and practices for the country in which your publishing company is located. I am in the process of writing a book. It is not yet published. Am I able to copyright it once it is complete before it is published? Also, I have several poems in another book. Am I able to copyright my pieces although she will copyright/publish the book? Alanna, you own the copyright to your work when you create it. You should register it with the Copyright Office after you publish the book. With regard to your other question, I encourage you to read the information on the Copyright Office site. These two links will be a good starting point: http://www.copyright.gov/fls/slo4s.pdf and http://www.copyright.gov/eco/help-type.html. I’m writing a children’s book for my Senior Project, but I’m hoping to continue it into a series after I graduate. Do I need a Copyright? Or any other legal matters I need to look out for? When you’ve published the book, then you should register it with the Library of Congress. This article, https://www.thebookdesigner.com/2010/03/how-to-copyright-your-book-2/, will take you through the steps. My Aunt and I are working on writing a book about our family geneaology. It will not be for sale, only given to the kids and any interested cousins. Where can I find any legal requirements that would tell me what is necessary for us to include images of newspaper articles or quotes out of other people’s research/writing/memoirs? We credit everyone we can when we know the author or publications the stories/research comes from. My personal thoughts are that since the book will not be sold, the copyright laws would be more lax or not be applicable? We are essentially just wanting to pay a self-publishing entity to copy, print, and bind our family “scrapbook.” Do you have any advice or resources where I can learn more about this? Terah, this article, http://www.thebookdesigner.com/2016/04/using-family-photos-letters-stories/, might be a place to start. A short conversation with an intellectual property attorney might also be helpful. My grandmother published three books. One was done so illegally in Holland because she could not sell her book unless she joined the nazi party. So she sold it illegally for a pound of butter and after the war it was published and very popular. She never saw a penny. Another book on her war memoirs is being claimed by her Estate Executor. He said that he fronted the money to have it self-published and therefor he owns the rights and is keeping all of the proceeds from the sales. Any ideas? Much appreciated. Thank you. I recommend that your first step be to speak with an intellectual property attorney about all of these issues. After you get all the legal questions sorted out, then you’ll know how best to proceed. in-service for a hospital system. How can I copywrite this so my name stays with the presented material now and after I leave the hospital system? You can publish your work and register it with the copyright office. However, I would advise you to first clarify your relationship with the hospital system that was your employer, especially read carefully through any employment contracts or employee manuals to make sure you are actually the owner of the copyright. I’m writing a “How To” manual for use with a training module that is provided through my LLC. The “How To” is being used to explain a state government based program that is accessed via the internet. However, the program is not a public program and is only available to particular organizations within a particular industry. I’ve taken screenshots of different portions of the site and edited the screen shots to indicate where to select and what to type, as well as writing a text based explanation for those actions below the images. These images and explanations are a single part of large “How To” manual that also includes original creations. Can i Copyright this work without facing issue with the state department that operates the site? I formed a LLC thru my state government, bought ISBN’s with Bowker under that LLC, but have also used Bowker to create an Imprint name. 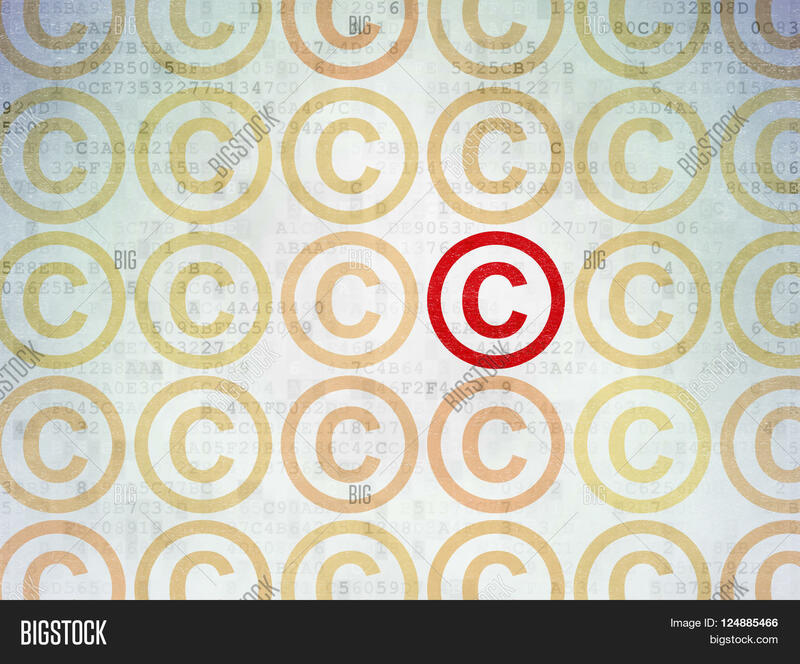 When I add “Copyright 2106 XYZ” to my title page, does XYZ need to be my LLC name or can I use the Imprint. And is the Imprint a legal entity when I get one thru Bowker or do I need to register that somewhere as well? I plan to register my copyright once the book is submitted, as recommended. Jay, you can use either name, an imprint does not need to be a separate legal entity so you don’t have to “register” it, but if you want to cashier checks in the imprint’s name, you’ll need to file a Fictitious Business Name (or similar) in your locality. I’m writing a fiction book, but I have only written two chapters. I would like some other people to read it before I send them to literary agencies, at this stage do I need copywright to protect my work from plagiarism? even if i have only written two chapters? Mel, you already own the copyright to your writing. We don’t register the copyright until your book is published. I live in a European country and want to copyright an eBook. I’m having a hard time finding advice on copyrighting books outside the United States. Can you help me? Thanks. Thanks for your comment. Not sure if you are offering word processing services, or needing word processing services. I do know people who work with Word. Let me know how I can help! 1 – I have an idea for your website. 2- Subject: Do you know a low cost word processor?? Need to fold in changes from one WORD doc into another WORD doc and WP should know how to work with WORD tables. You can call or email me. Thank you. Thanks, @BookWhirl, your support is much appreciated. Copyright is just one of those things you have to know about when you go into publishing, so I hope this helps. Very informative post! Thank you for sharing basic and important points about copyrights. All self-published authors must at least be familiar on dealing with copyright matters. I’ll definitely bookmark this article! Keep on writing, we believe in you–always. BookWhirl.com | You have the book…We have the Marketing Resources.